Melissa A. Wong has been an adjunct instructor at the University of Illinois at Urbana-Champaign Graduate School of Library and Information Science since 2001 and currently teaches courses in instruction, eLearning, reference, and academic librarianship. Wong, Melissa. 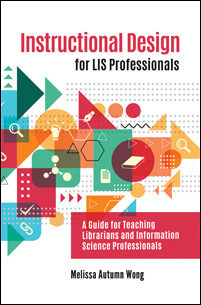 Instructional Design for LIS Professionals: A Guide for Teaching Librarians and Information Science Professionals. Libraries Unlimited, 2019. ABC-CLIO, publisher.abc-clio.com/9781440867149. A concise, practical guide to effective teaching with a focus on the professional education of graduate students and adults.